It's fairly simple to get around Loc8, and better still if you know exactly where you can find a particular option in the home screen, so here is an article to give you an initial start before you dive in deeper. Loc8 via web browser or Loc8 Mobile app - which one to start off with? While Loc8 via web browser offers full scale version of your subscribed edition, accessible from your preferred device, and launched using the login link as advised on your account activation email ( for example, https://apac4.loc8.com for Asia Pacific users), Loc8 Mobile app is a compact version whose end users majorly working on site completing jobs for your customers. A good way to start off is to have your staff at office join Loc8 via web browser, through which they can create users, set up data, dispatch jobs and carry out administrative activities, while your team in field can be equipped with Loc8 Mobile so that they are never disconnected from the constant flow of jobs and new updates added to their schedule. They can complete jobs in a linear workflow, along with having the liberty to carry out minor creations and updates through the app itself. Now let's take a look at Loc8 when accessed via web browser. You may use the Getting Started section as a guide to create the very first set of data in your Loc8 system for - your company profile, workforce, jobs and customer. Just click a box, create your first item and move on to the next box. Once you've successfully created data under these four areas, the Getting Started section achieves its purpose and automatically disappears from your Home page. Quite popular with other users of Loc8, the shortcuts greatly improve your speed in accessing frequently used pages for creating Jobs, Projects, Workforce, Customers, Assets, Quoting and Invoicing. 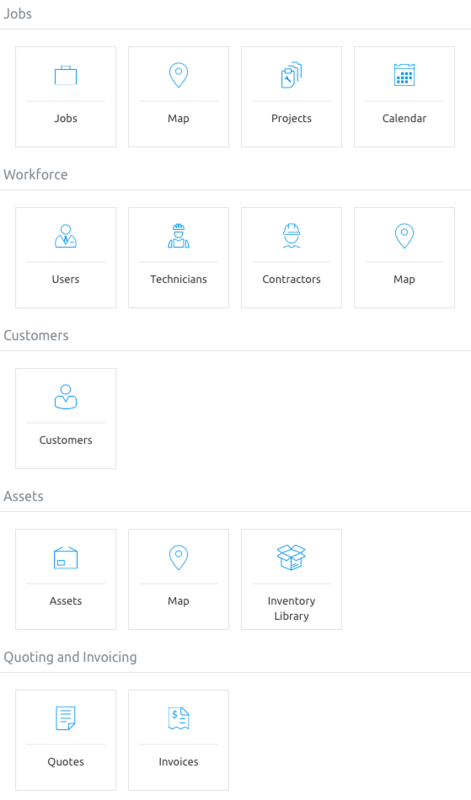 Click the shortcuts to directly create new jobs, schedule them or view them on calendar, invite members of your team as well as viiew their availability on a map, add new customers, enter new assets and update your inventory, in no time. The main menu panel packs up all the Loc8 features offered in your edition at one place. You can navigate to the specific features dedicated to quotes, jobs, workforce, invoices, assets, customers etc. to create, update and manage them. 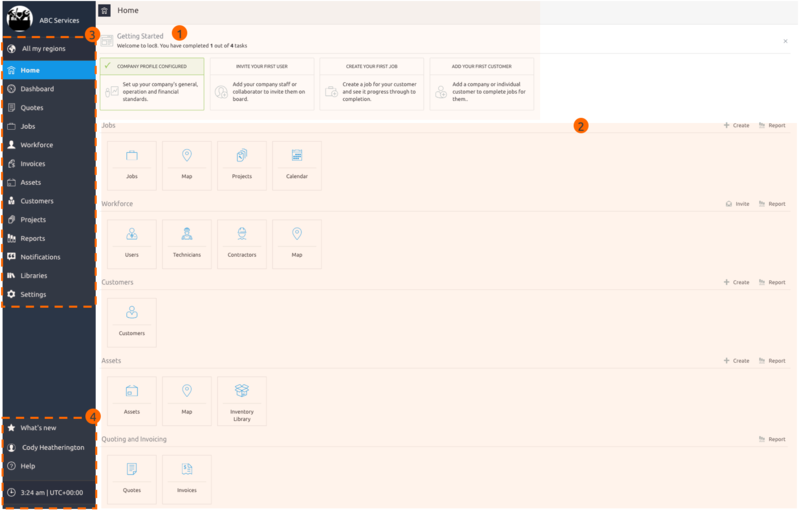 Check out the Dashboard for quick and real-time updates on job statuses in your business and use the Settings area to configure, customise, and automate a wide range of options in Loc8 to tailor the system according to your business needs. The bottom-left corner displays options mainly for your Loc8 account. You can reset your login password or log out, select the clock suitable to your business region, or check out new updates about the product, share feedback and connect with the team for help and advice. Next, let's take a look at the Loc8 Mobile app. The Loc8 Mobile app gives an easy view of your job appointments lined up for today and the upcoming days. You can browse through the list of appointments under different views and further refine the list using sort and filter. When it's time to take up a job, just accept the job and the linear workflow will take you through to logging your work hours, while allowing you to upload photos, scan assets, and also create new jobs, customers or assets, as is permitted under your user license and user group. The very first screen shows your schedule for the day on a calendar with a summary of the number of appointments, number of jobs to start and jobs to finish. Any jobs assigned to you will appear here in real time. It's up to you how you want to view the assigned jobs — you may choose to see them on a map, sort and filter them to fit your preferred view, or maybe create new jobs yourself. To see more options, just swipe the screen to the right and you can access the main menu panel. 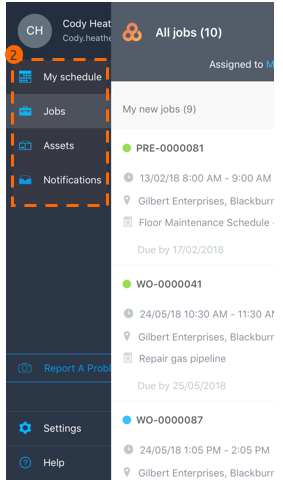 The main menu lets you switch to other important areas in Loc8 Mobile such as viewing jobs in a list rather than calendar where you can sort and filter the view and create new jobs, browse through assets and scan to search them or create new assets. 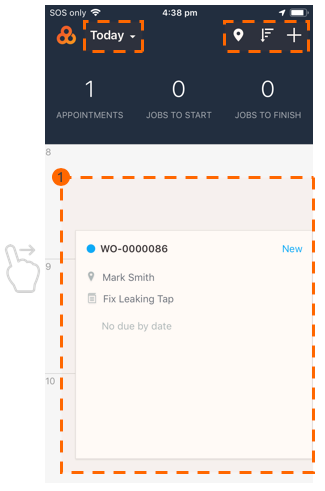 And, the main menu also alerts you with new notifications related to your job appointments. 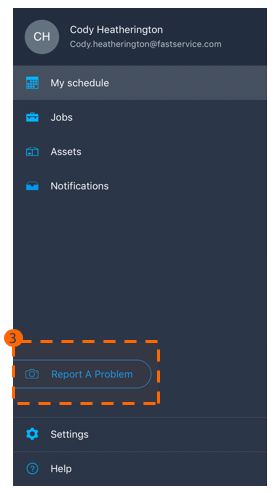 To quickly address issues that you come across in field, the Report a Problem option is available to you right under the main menu, using which you can take a photo, fill in the problem that needs to be fixed and thereby, automatically initiate a resolution job. 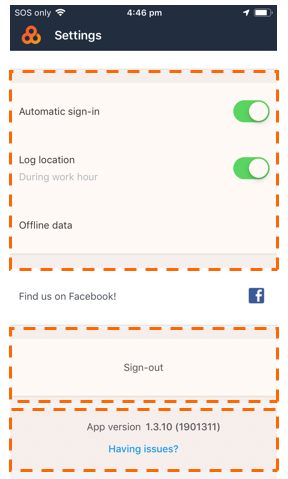 You can customise the app to behave the way you prefer, such as enabling automatic sign-in, logging your location during work hours, capturing data in offline mode in special cases such as when you're in sensitive customer areas. For those occasions when you want to sign out from the app, the option is available under Settings. 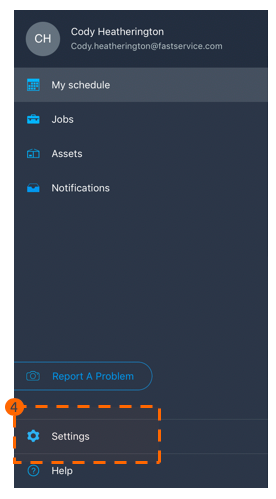 The Settings area also allows you to do a bit of troubleshooting yourself if you face unexpected issues in the app, and that's available in the Having issues? option. Having this information in hand you can explore other areas in depth, and learn more about them using the step-by-step articles in http://help.loc8.com/using-loc8-browser and http://help.loc8.com/using-loc8-mobile.